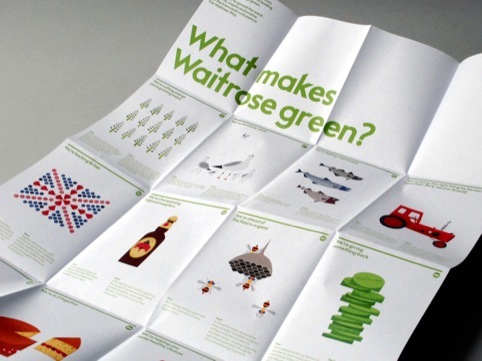 Consultancy Mytton Williams has designed The Waitrose Way campaign, working alongside Ink Copywriters on the project. The campaign looks to show customers what ‘Waitrose is doing now ­ and what it promises to do in the future’, according to Ink Copywriters, distilling the messages into ‘12 firm commitments’. It uses bold illustrations alongside Waitrose’s green and white brand colours, and is being used across Waitrose publications and in-store. 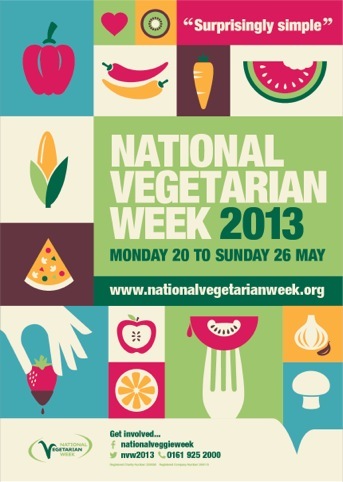 Manchester-based consultancy Creative Spark has designed a campaign to promote this year’s National Vegetarian Week, which takes place later this month. The campaign is centred around the ‘Surprisingly Simple’, strapline, aiming to highlight the ease of vegetarian cooking, and features what Creative Spark describes as brightly coloured ‘clean, retro illustrations’ of fruit and vegetables. Devon-based consultancy Krage Design has rebranded the Cygnet Theatre in Exeter. The consultancy was tasked with creating a new logo that clarified the theatre’s name, as it was also known as The New Theatre Exeter. The logo uses a large ‘C’ to symbolize an adult swan nurturing a grey ‘C’ to suggest the Cygnet. The blue background suggests water to refenrece the theatre’s location Exeter’s quayside. The identity will roll out from this summer on touch points including the theatre brochure and website. Consultancy M Worldwide has been appointed by the Zoological Society of London (ZSL) to review the retail and admissions areas for London Zoo and Whipsnade Zoo. M Worldwide was appointed following a three-way credentials pitch. It will review the current retail areas at both zoos including the effectiveness of the internal spaces, external fascias and surrounding areas, and technology enhancements. It will also advice on products and merchandising, retail pricing, promotions and multi channel retail messaging and communications. 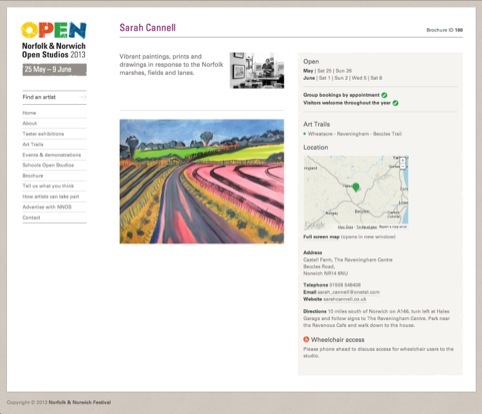 Silk Pearce has redesigned the Norfolk & Norwich Open Studios website. The new site aims to help attract new visitors and simplify the organisation of the annual art event. 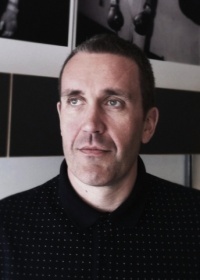 It allows participating artists to set up online accounts and directly input details of their planned activities, and features improved navigation, larger imagery and cleaner page layouts to ‘present the site’s content in a more appealing way’, according to Silk Pearce. 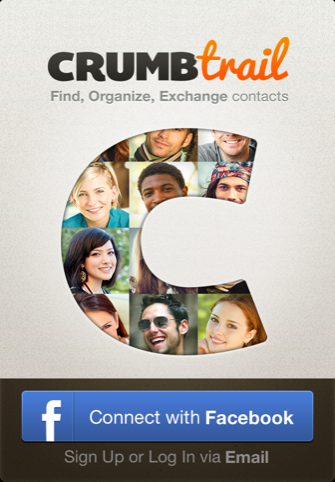 Ramotion has worked with Eren Erman to create CrumbTrail, an iOS app that helps users manage contact information. All design work was carried out by Erman and the in-house team. The app allows users to add context such as where you met a person to contact information. Other features include a Notifications Centre, which updates information in real-time, and contact restoration, meaning if a phone is lost; contacts can be retrieved from the CrumbTrail’s cloud system. Encryption company SafeNet has unveiled the identity for its new Crypto Hypervisor system, with designs created by its in-house team. The identity aims to create a ‘modern look and feel’, according to SafeNet, with a cloud device containing text and illustrations of cryptographic keys. Consultancy Livity has been appointed to create new branding for charity Victim Support. The work will see Livity working alongside young people including designers, young victims and witnesses of crime and volunteers to develop and a standalone brand for the charity’s youth services. Livity says, ‘The co-created brand will need to resonate across the target group and all of its demographic differences such as culture, religion, sexuality and gender.’ The branding will be shown across all web, social media and print touch points. Battersea Arts Centre has launched a new website for its Playgrounding, an architectural approach it developed with Haworth Tompkins through the ongoing development of its south London building. 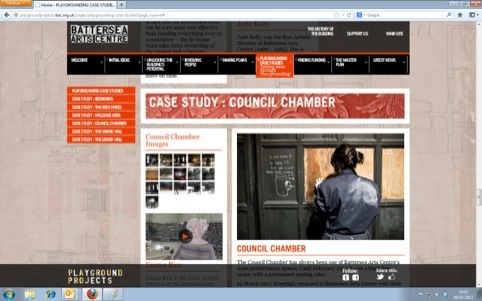 The website, which was designed in-house, is ‘built to be half way between a book and a website, and tells the story of how the project came about, the mistakes we made, the necessary stages, how we have been funding it, and the eventual plan’, according to Battersea Arts Centre.